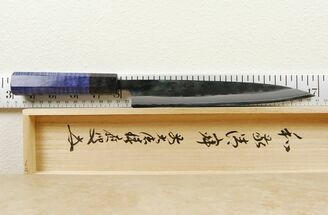 The Karaku petty is unlike many other budget blades in that they are constructed from very up-market steel called Aogami Super Steel or AS for short. The steel is particularly liked for its ability to achieve a very fine edge which it also retains better than most other steels. 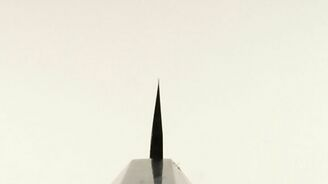 It is also very easy to sharpen. The steel is fairly reactive so wiping down and drying should be done after every use. With a blade length of about 210mm, these petty knives are a perfect tool for line cooks that need something versatile and easy to handle. They can tackle just about any cutting task and will also work well as a fillet or boning knife. 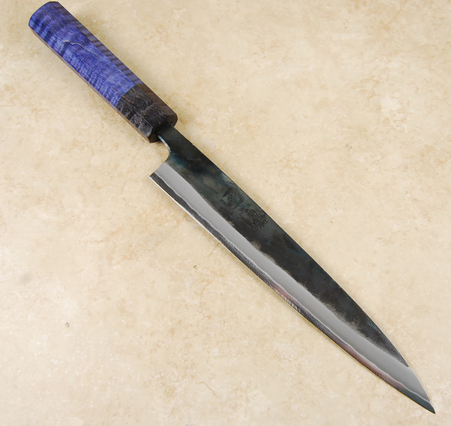 The Karaku gyuto comes with a nice hardwood custom octagonal handle. This might be a budget starter knife, but it is a blade that will introduce you to one of the best steels in the business and at a price normally not associated with this fine alloy.